With us, buyers are free to place orders and can expect timely deliveries of the same. We are working with an aim of making available flawless lot of products and for this; we check the product quality on several grounds. Turpentine (also called spirit of turpentine, oil of turpentine, wood turpentine and colloquially turps) is a fluid obtained by the distillation of resinobtained from live trees, mainly pines. 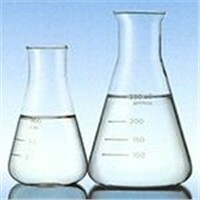 It is mainly used as a solvent and as a source of materials for organic synthesis. Turpentine is composed of terpenes, mainly the monoterpenes alpha-pinene and beta-pinene with lesser amounts of carene, camphene, dipentene, and terpinolene.. As a solvent, turpentine is used for thinning oil-based paints, for producing varnishes, and as a raw material for the chemical industry.